Krotos, the producer of next-generation audio tools for the entertainment industry, has secured angel investment in a deal led by one of the most influential figures in gaming. Leslie Benzies is an award-winning video game producer and designer. Video game pioneer Leslie Benzies is the main investor, with co-funding for the substantial six-figure deal provided by Old College Capital – the venture investment arm of the University of Edinburgh. The Edinburgh-based firm, known for its ‘Dehumaniser’ voice processor which produces monster sounds for films, television and video games, has already won business from studios around the world including Disney and Warner Brothers. Investment from Mr Benzies is a significant boost for the company and will help it to scale – doubling headcount to 20 – and widen its suite of Pro Audio tools while also reaching consumer markets in growth areas such as virtual reality and gaming communication. Orfeas Boteas, founder and CEO, hit upon the idea for the first Krotos product, Dehumaniser, while studying at the University of Edinburgh. The innovative software, initially created as part of his Masters degree in Sound Design, makes it possible to produce imaginary creature and monster sounds in real-time, dramatically speeding up a process that previously took up to 8 hours to complete. It also allows actors to generate sounds themselves using their own voices. Since its launch in 2013, Dehumaniser has been used to voice characters in Hollywood blockbusters including Avengers: Age of Ultron and the Jungle Book, as well as hit video games Far Cry 4, Doom, and League of Legends among others. It has also been used by television production companies in the US, Europe and Asia. Krotos is an exciting new company with potential to grow rapidly and deliver real economic impact in Edinburgh. This deal highlights the potential of student-led enterprise and it is great that the University through Old College Capital is able to take a stake in the company and share in its future success. Mr Benzies will join the Krotos board, which includes non-executive directors Matthew Smith, the former audio director of Rockstar North; IT entrepreneur Ian Ritchie; and financial expert Colin Grant. 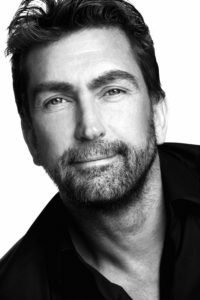 Leslie Benzies is an award-winning video game producer, designer and the former president of Rockstar North. His production and design credits span the life of modern gaming and include Grand Theft Auto III, IV, V, Red Dead Redemption, and GTA Online. He is also creator of the recently announced video game, Everywhere. Awards: BAFTA Special Award, BAFTA FELLOWSHIP AWARD, The Academy of Interactive Entertainment, Hall of Fame, Scottish CEO of The Year, 2014, Honorary Doctorate of Design, Robert Gordon University, Scotland.